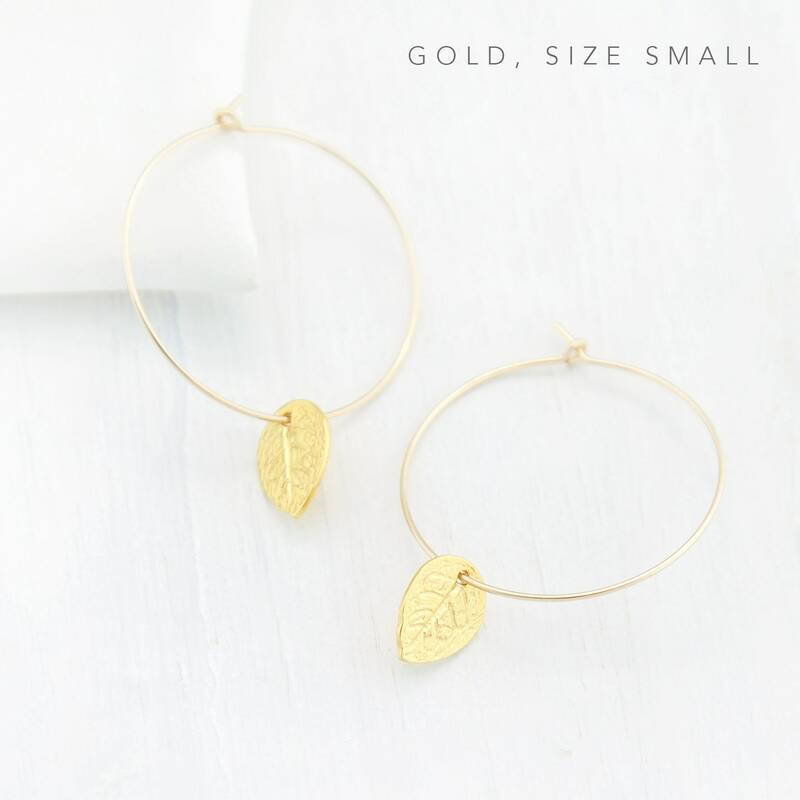 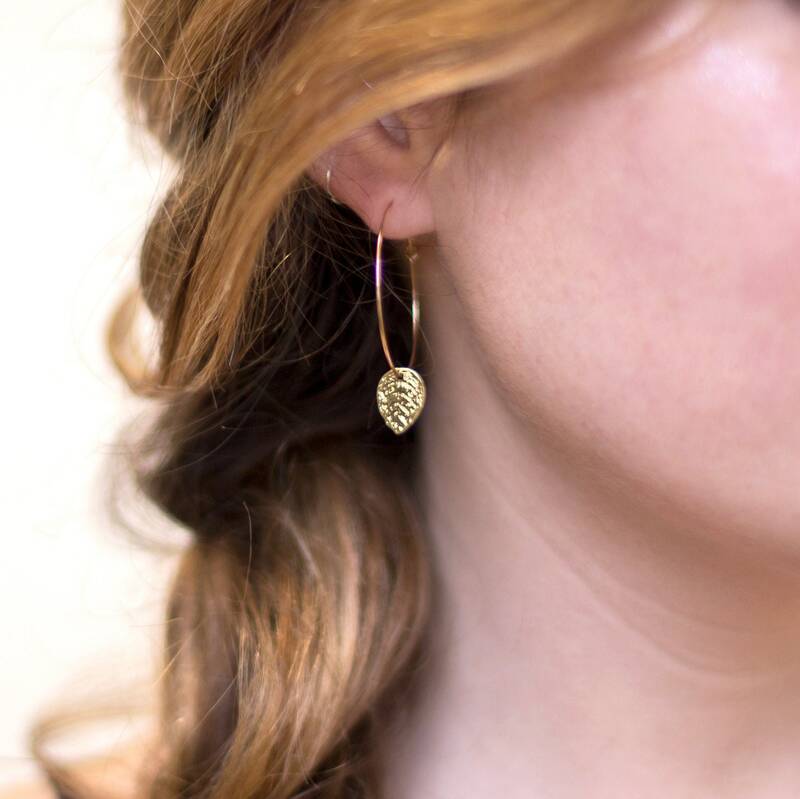 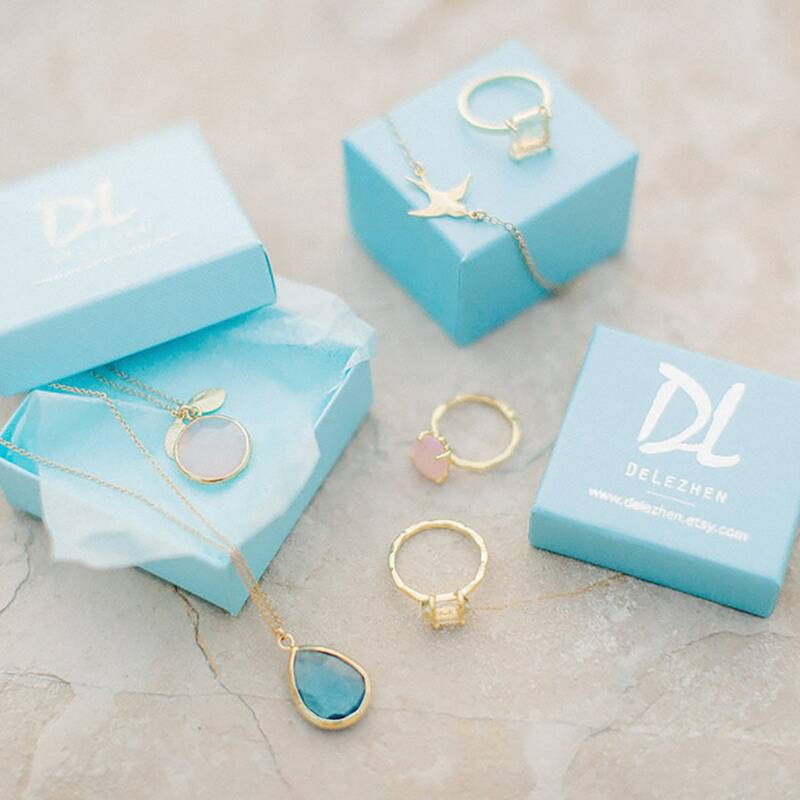 These delicate, gold filled, sterling silver, or rose gold filled hoops feature a dainty leaf charm. 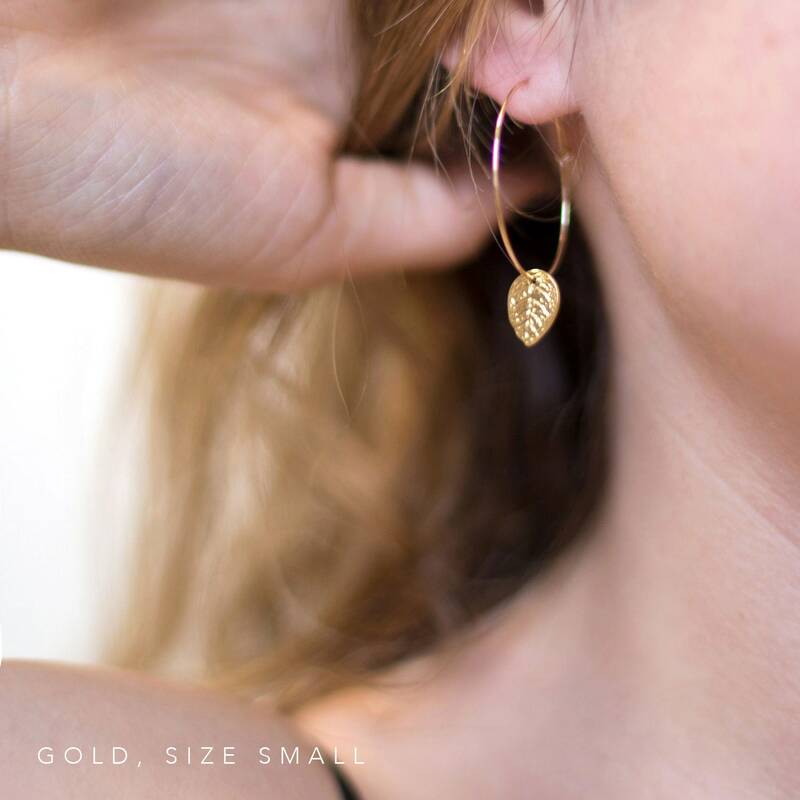 Available in two different sizes, they are lightweight and perfect for everyday wear! 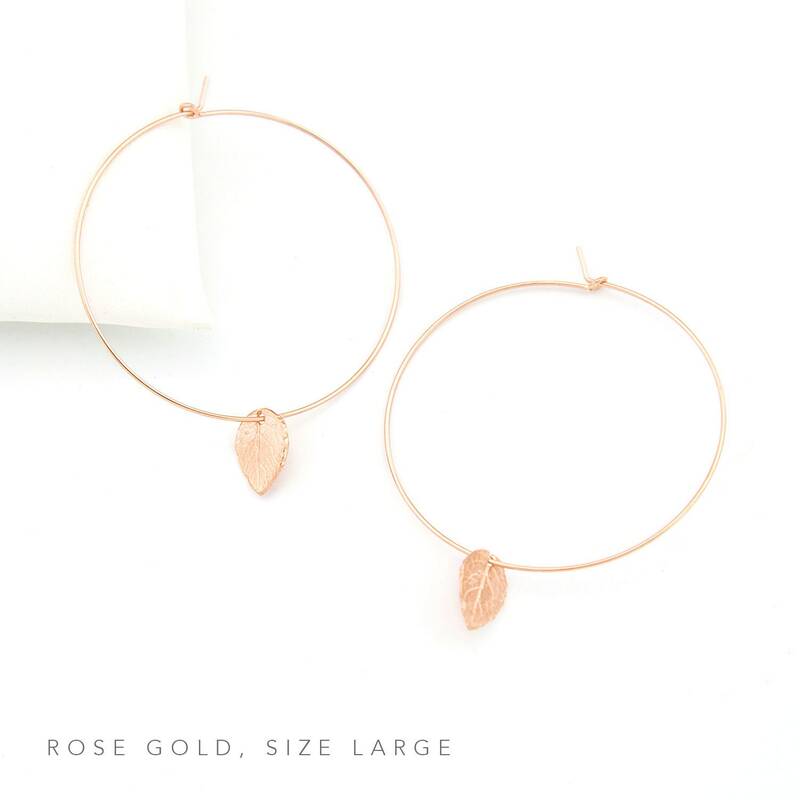 • Leaf is approx. 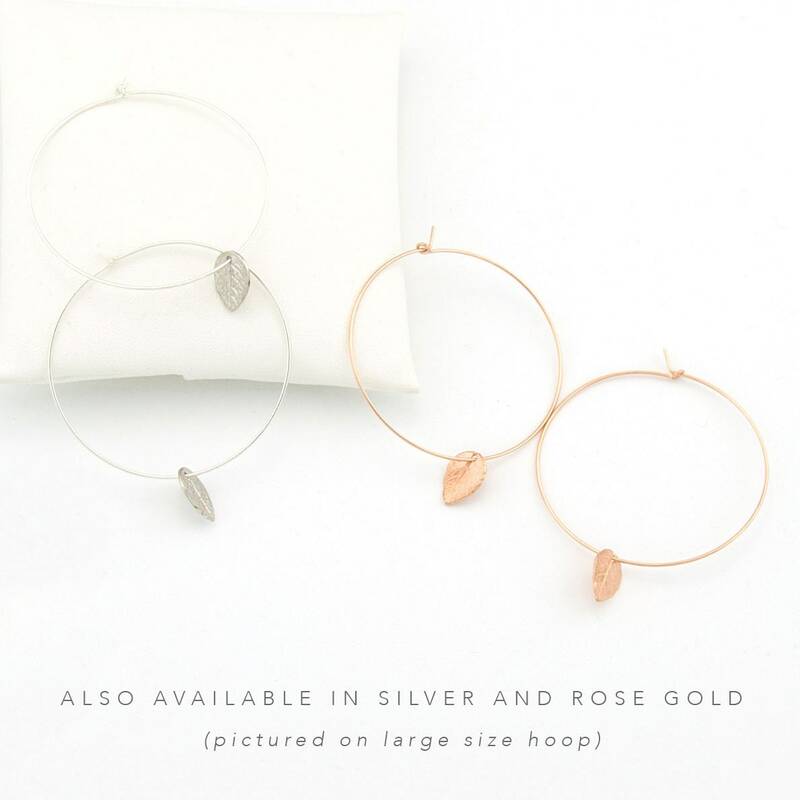 .5"
• Large hoop is 1.75"
• Small hoop is 1.25"